” If you had to guess which states had the most per-capita police involved deaths, would you include states like California, Texas, or New York? Or maybe Florida, Missouri, or Washington? Strange as it may seem, although these states do have many police involved deaths, they do not fall within the five deadliest. Write letters to your state legislators and city councils demanding that they require police to get trained on de-escalation strategies and less-than-lethal methods, and that police and sheriff’s departments enact stricter rules for using lethal force. Vote out prosecutors that refuse to charge officers who needlessly take life. Write your local police chiefs and sheriffs demanding that they hold their officers and deputies to higher standards when it comes to the use of force. Let them know that you will hold them accountable for any loss of life that results from the excessive use of force from members of their agency. Always keep a video recording device with you, record every police encounter you see. Email the link to this article to all of your friends. ” ” They lowered their pants to their knees and took pictures of their buttocks,” said Keat Bunthan, a senior heritage police official in northwestern Siem Reap province. ” The world’s most expensive photo depicts Arizona’s Antelope Canyon, near Page on the Navajo Reservation. Landscape Photographer Peter Lik sold his print, titled “Phantom,” for $6.5 million to a private collector in November. 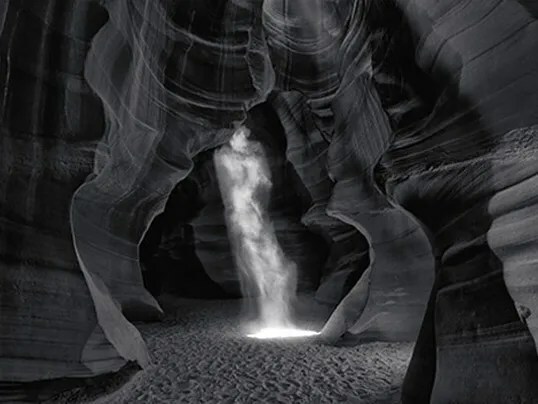 The black-and-white photo depicts an underground cavern inside Arizona’s Antelope Canyon, a slot canyon formed as rainwater eroded the stone into narrow passageways. ” A video was uploaded to Facebook on Friday of a Mesa, Arizona police officer repeatedly punching and attacking a 15 year old girl as her mother begged them to stop. The young girl, who was reportedly a runaway, was screaming that she couldn’t breathe as her mother attempted to explain to the officers that she has mental problems as well as asthma. This video was just published on Youtube but it relates to an event that transpired back in April in which Edward Michael Caruth resisted arrest in a West Valley , Arizona fast food restaurant . Mr Caruth received four taser shots and was still able to flee the building , only to die later in police custody . Read the whole story here at The Blaze . ” Today, voters in Arizona approved a ballot measure that follows James Madison’s advice to stop federal overreach. With 80% reporting, the tally held steady and increasing at 51-49%. ” The duo behind a rash of Phoenix bank robberies is out of business, with one now dead and the other under arrest, thanks to the efforts of an armed local businessman. On Wednesday, the Desert Schools Federal Credit Union was targeted by Lyndell Cherry, age 29 and Vincent Jones, age 21, who entered at around 2 p.m. and demanded money. The two had left the keys in the ignition and the engine of their getaway vehicle running, a mistake which proved to be their undoing. While the robbery was taking place, one credit union employee was able to call Sean Quaid, who owns a business next door to the credit union and told him what was happening. Quaid grabbed his gun and ran outside. After determining which was the likely vehicle of the perpetrators, Quaid removed the keys from the ignition. When attempting their getaway, Cherry and Jones ran outside to their car and found they had no keys. They went back inside to see if they might have dropped them somewhere along the way, even going as far as searching a woman’s purse inside to see if she might have picked them up. 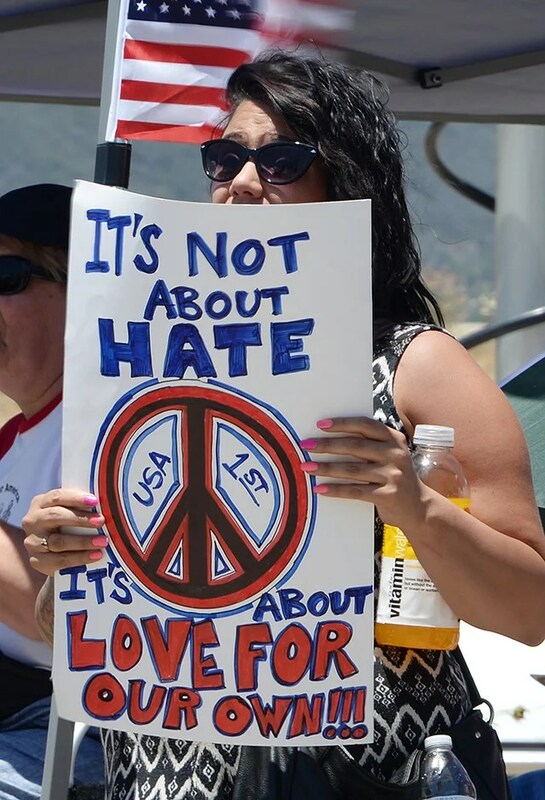 ” American citizens describing themselves as “deeply concerned” with Obama administration immigration policies plan a mass protest on Saturday to press their demand to seal the southern border by blocking traffic at more than a dozen U.S. crossings. Demonstrators will attempt to stop incoming and outgoing traffic at 17 of the 63 locations in Texas, New Mexico, Arizona and California listed on the U.S. Customs and Border Protection website. There has been an unsubstantiated threat of mass violence to attendees, along with very suspicious activity on the Facebook site. These two items are more than enough for me to immediatelystop any protest that was going to occur. Your lives, and the lives of our law enforcement, are more important than any protest. ​I apologize for the inconvenience, but we must remain safe and not put anyone in danger. If you attend, you are not just putting yourself in danger, but the law enforcement officers, as well. They are there to watch you, the protesters against you and the unknown threat. That is not the purpose of this event! Risking anyone's life is not worth it! Please pass the word along to everyone! ” News 4 Tucson has learned a Mexican military helicopter travelled across the border and fired on U.S. Border Patrol agents. ” TPD says they got a call from the apartment complex landlord after two previous tenants returned to their apartment after being evicted. The landlord told police a man and woman were inside the apartment and wanted officers to remove them. Officers responded to the scene, but received no answer when they knocked on the door. When they entered through the unlocked door, they saw a closed bedroom door. Police say 28-year-old Michael Duncklee came out of that room with a hockey stick. A confrontation ensued between officers and Duncklee and that’s when both officers shot him. Police say Duncklee died later at the hospital. The two TPD officers involved were Robert Soeder, a 14 year veteran of TPD, and Allan Meyer, a two year veteran of TPD. ” Two heavily armed, camouflaged Mexican soldiers crossed 50 yards inside Arizona in January and drew their guns against U.S. Border Patrol agents who confronted them in a tense standoff, according to documents obtained by The Times/Tribune Washington Bureau. The Jan. 26 confrontation, described in a Border Patrol foreign military incursion report and confirmed in a separate letter from U.S. Customs and Border Protection Commissioner R. Gil Kerlikowske, ended when the Mexican soldiers retreated back over the border after U.S. agents — who also drew their weapons — summoned assistance. The soldiers, who misidentified themselves to border agents, claimed to be pursuing drug smugglers, documents show. Read more about our porous southern border and how heavily armed foreign soldiers were able to just walk into the US . ” A federal judge in Kansas on Wednesday ordered federal election authorities to help Kansas and Arizona require their voters to show proof of citizenship in state and local elections, in effect sanctioning a two-tier voter registration system that could well set a trend for other Republican-dominated states. Judge Eric F. Melgren of United States District Court in Wichita ruled that the federal Election Assistance Commission had no legal authority to deny requests from Kansas and Arizona to add state-specific instructions to a national voter registration form. The states sued the agency to force the action after it had turned them down. The Supreme Court ruled last June that Congress holds full power over federal election rules, but indicated that states could require proof of citizenship in state and local elections. Federal rules require prospective voters only to sign a form attesting to their citizenship, a procedure favored by Democrats who want to increase participation of minorities and the poor in elections, but that Republican officials say fosters voter fraud. The NY Times , in it’s usual slanted way , has more . The reader will note the constant emphasis throughout the article of “Republican-controlled states” , “Republican” this and “Republican” that while the Democrats are referred to as the champion of the downtrodden . The usual statist propaganda , leaving out the fact that whenever the Dems have a get-together they require ID too . ” There should never be a doubt in anyone’s mind as to the professionalism and the discipline of the U.S. Marine Corps. 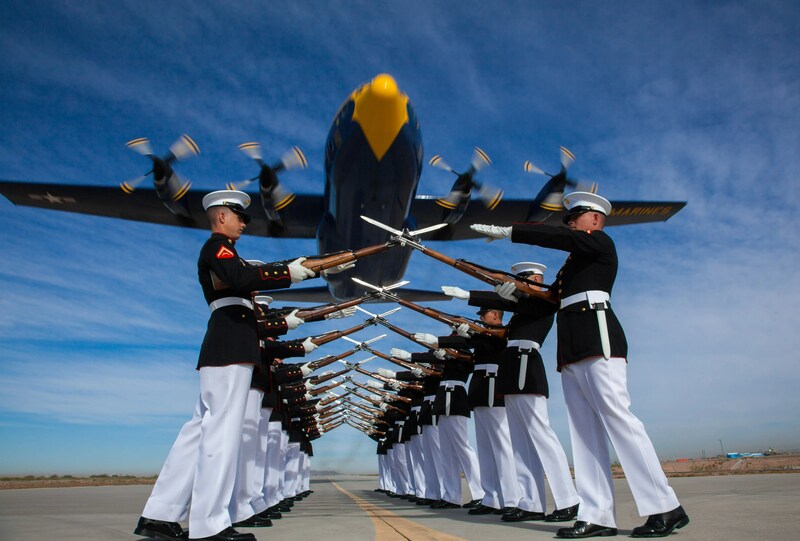 To exemplify the Marine Corps’ high standards, the Silent Drill Platoon was formed in 1948. Composed of a 24-man rifle platoon, the Silent Drill Platoon performs at various venues across the country, and represents the Marine Corps abroad. In their shows, they move with incredible precision — marching, moving into different formations, and tossing rifles — without the use of any commands. Their silence, put simply, is what makes their shows so awesome to watch. Read more and see some beautiful still photos at Business Insider and below is the 2014 schedule for The Blue Angels public performances . See them at an air show near you . Caught On Camera: Little Pug Picks Fight With SWAT Team During Arizona Standoff !! Given the authorities’ propensity for killing family pets , this pug is lucky to have escaped with it’s life . Here’s a brief news story about the standoff and the bold pug . The standoff ended with the besieged robbery suspect , Andrew Joseph Desgranges , allegedly killing himself . ” If you mention the word “secession” most people think of the South during the Civil War. But today, a new movement is gaining steam because of frustration over a growing, out-of-control federal government. ” We’re at this point of irreconcilable differences,” Hare told CBN News. Wikipedia offers this list of U.S. state partition proposals which numbers 36 and includes current and past efforts , while this link to the Middlebury Institute provides links to secessionist movements most of which are aimed at creating independent republics as opposed to adding to the states of the US . ” This is a list of official or otherwise noteworthy proposals for dividing existing US states into multiple states. It does not specifically address statewide or other movements to secede from the United States. 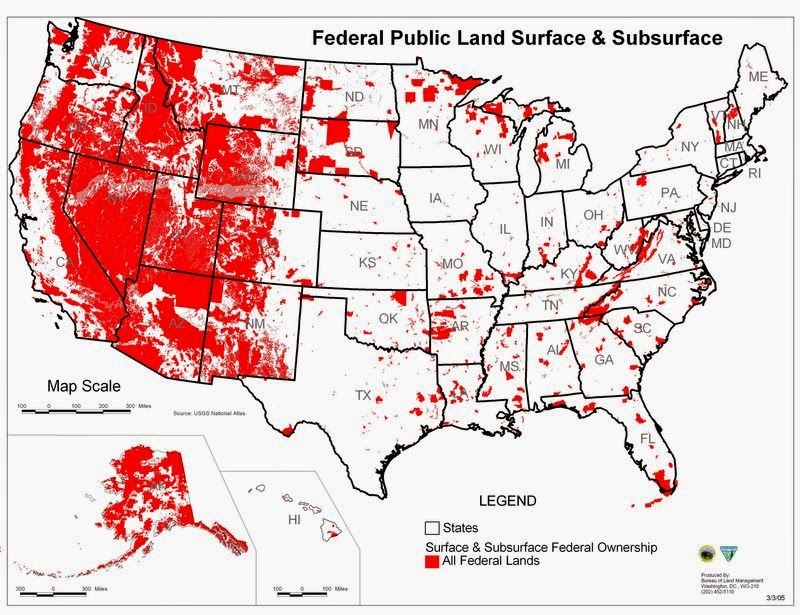 The word secession can refer to political separation at different levels of government organization, from city to state to country; this list focuses on secession from (rather than by) U.S. states, particularly to form new U.S. states. Can You Guess Who The ‘Least Popular Senator In The Country’ Is ? ” A new Public Policy Polling (PPP) survey released on Thursday suggests that Sen. John McCain (R-Ariz.) is the “least popular senator in the country.” The results shouldn’t be that shocking as McCain has a low approval rating among both Republicans and Democrats. There’s a lesson in this . When you try to be all things to all people you end up meaning nothing to nobody . The Blaze has more . ” Arizona’s state senate panel approved a bill withdrawing state support for intelligence agencies’ collection of metadata and banning the use of warrantless data in courts. The panel becomes the first legislative body in US to try and thwart NSA spying. The bill will now have to be approved by majority of the Senate Rules committee before it can move on to the full senate. It prohibits Arizona public employees and departments from helping intelligence agencies collect records of phone-calls and emails, as well as metadata (information on where and when the phone calls were made). The bill is entitled the 4th Amendment Protection Act and was introduced by Republican Senator Kelli Ward of Lake Havasu City. It was passed on Monday by the Senate’s Government and Environment committee with a 4-2 vote.